The color fuchsia is a vivid combination of red, pink, and purple hues named after the flower whose color it resembles. 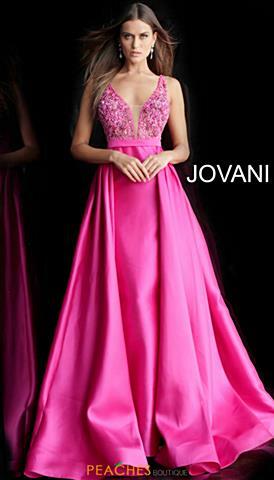 Commonly referred to as magenta, fuchsia prom dresses are all the rage for 2018. Whether you are in search of a simple and timeless full length gown or a fully sequined flashy ensemble, we have an array of fuchsia styles that will suit your personality. If you are looking for something unique, opt for a regal fuchsia satin mermaid with minimal embellishments that will instantly give you that infamous hourglass figure. On trend two-piece dresses with beaded lace detailing will set you apart from the crowd at your event. If you don't want to deal with the fuss of getting a dress hemmed, we have numerous short fuchsia dresses to choose from as well. From flared A-line silhouettes to fitted minis, intriguing asymmetrical shoulder straps to classic sweetheart neckline and everything in between. Order your fuchsia homecoming dress today and pay no tax(outside of Illinois)! 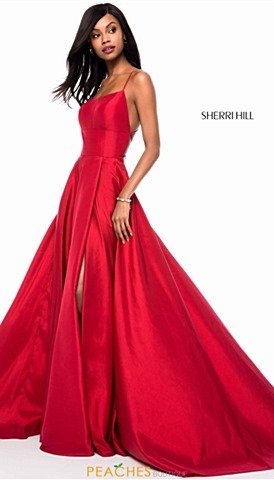 Vivid and vibrant, a fabulous fuchsia gown is the ideal choice for prom 2019! Showcase your flirty side in a dashing Fuchsia dress, or illustrate an alluring edge in a slim silhouette. 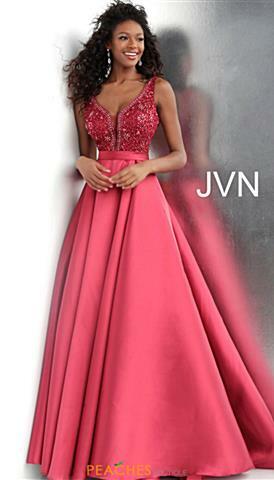 Jaws will drop, when you make your way across the dance floor at your occasion. . Picture yourself winning the title at your upcoming pageant in a striking magenta dress. 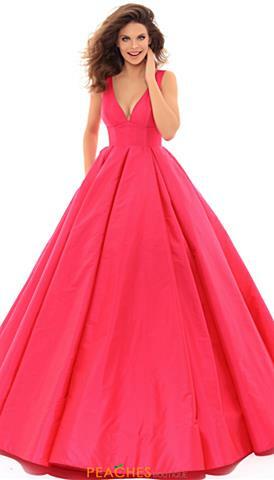 Create a sensational entrance at your eventl in a charismatic fuchsia prom dress and wow the prom crowd in a sleek fitted style that defines your hourglass figure. Which ever style appeals to your charming personality a fuchsia homecoming dress found at Peaches Boutique will dazzle all in sight.